After muzzling your dog, inspect the area carefully. It will obviously be red, bleeding, and even swollen. Try to look at the paw without handling the quick area directly and unnecessarily. Your assessment should determine if you need to remove any portions of the nail or if you can skip this step and stop the bleeding. If the nail is split in two and one end is hanging, you will obviously need to remove that hanging portion. Important Note: Dogs are often reactive to pain. Even the most serene and loving dogs can react and potentially bite an owner when stressed. Before applying a muzzle, make sure your dog is not in any kind of respiratory distress. In the event of labored breathing, hyperventilation, hypoventilation, changes in gum color, indications of vomiting, gagging, or hacking, a muzzle should not be applied as this could lead to aspiration or asphyxiation. This is where it gets tricky. If a nail is split in half and is hanging, you'll need to snip it off with your nail clippers. Often, the pain persists until the damaged nail is removed, and this must be done to allow the toenail to heal and the new nail to grow. Note: this will hurt your dog, but it should only take a split second to remove it. Often, once that portion is removed, your dog feels better. If your dog appears to be in excessive pain or you feel squeamish about the whole thing, cover the area with a bandage and go directly to the vet so your poor dog can get some relief through local anesthesia or tranquilizers. Also, see your vet if the hanging area is not easy to pull. The last bone of the toe is close to the beginning of the nail and if you don't know what you're doing, you can end up hurting your dog. 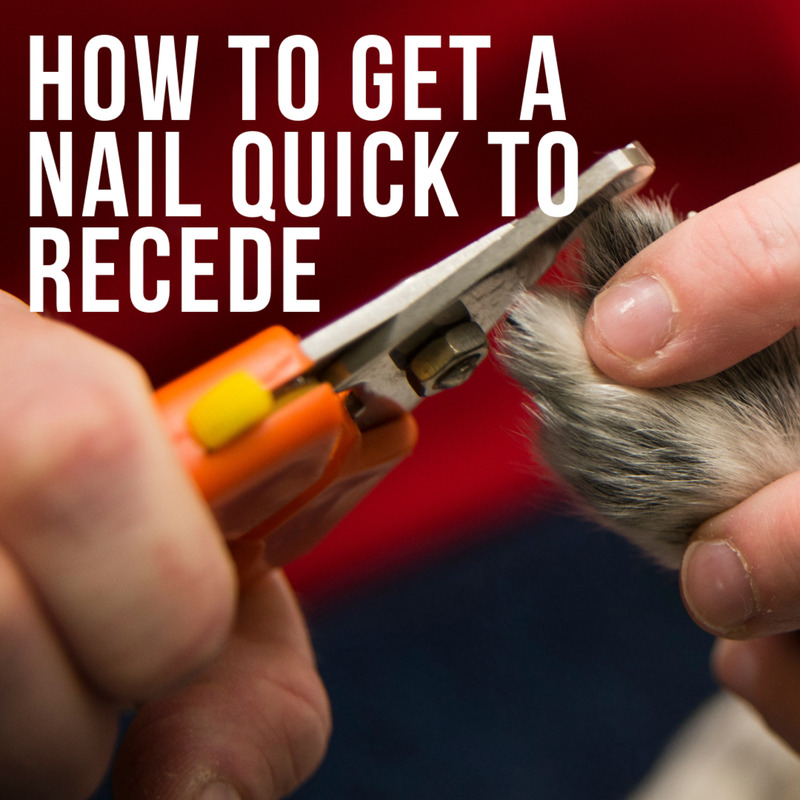 Your vet can trim the portion of protruding/hanging nail safely so your dog's nail gets to heal cleanly. This is the preferred approach. Note: Use caution when removing the nail. Familiarize yourself with the anatomy of the nail before clipping as you could worsen the injury. If you see lots of blood, don't panic; this blood comes from blood vessels and can be stopped quite easily (unlike the life-threatening bleeding of an artery). The next step is to stop the bleeding, but if it won't stop, go to your vet immediately, as some dogs may be prone to clotting abnormalities (think dobies with Von Willebrand's disease) and may require cauterization. Ideally, you should keep a styptic powder or styptic pencil such as Kwik Stop in your first aid kit for such emergencies. Make sure you don't succumb to the urge of checking repeatedly to see if the bleeding has stopped, as this may cause the bleeding to start again. Just keep the pressure for 5 to 10 minutes as recommended by veterinarian John A. Bukowski. To keep your dog distracted and prevent him from licking the area, you can keep him on his tummy and give some tummy massages or let him lick a wood spoon with peanut butter on it. The bleeding should have done a good job in cleaning the wound, but you want to take a few extra precautionary measures just in case. Warm water will help remove debris from the wound, according to veterinarian Janet Tobiassen Crosby. Don't use hydrogen peroxide, as this tends to make things worse. Plain neosporin or a diluted betadine solution are better choices. You can then bandage the area (follow the Expert Village's veterinarian advice as shown in the video below) and make sure not to make it too tight! Disclaimer: Only a licensed veterinary professional should apply a permanent bandage to an animal. In the event of administering first aid in transit to the veterinary clinic, make sure any application is not occluding blood flow to the area. Applied pressure works wonders for stopping quicked nail beds. Your vet may bandage the area nicely and prescribe antibiotics and/or pain killers, depending on the extent of the wound. This will help prevent the chances for a nail bed or toe infection. Take care handling your dog's paw as he may be in great pain and bite. I highly recommend a muzzle, for safety's sake. Scruffy's toenails may look quite tough, but they are prone to snagging, tearing, fracturing, and breaking apart. The reasons are several, let's take a look at some. Often, the length of the nail plays a role. Long nails are more likely to get snagged and break than neatly trimmed ones. On the other hand, often, a dog's nail gets cut too short by the owner. 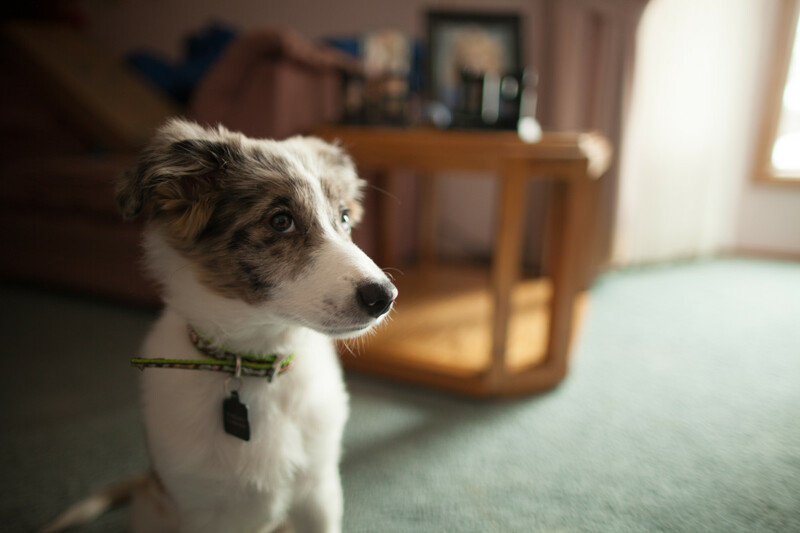 A nail might get snagged on the carpet, woven rug, deck boards, or a floor grate while the dog is running. The most vulnerable nails are those on the front paws and the dewclaws. Normally, dogs' nails wear down as they walk on hard surfaces and exercise. The nails of a pet leading a sedentary life and walking on carpets all day may grow quite long. Some dogs are more predisposed to developing brittle nails than others. How do I get the blood to stop? Apply pressure for 5 minutes, then wrap with gauze. Styptic powder helps. What is the styptic powder for? It helps stop the bleeding. It's a great thing to have in your first aid kit. What if I cut my dog's nail too short? This happens all the time. Follow the same steps described above. Lots of belly rubs and affection help keep your dog distracted. You'll likely know when your dog's toenail is broken, as this type of injury is quite painful. Your pup may yelp, limp, and consistently lick at the wound. If a part of the nail is hanging, your dog may chew it off. You will notice extensive bleeding. The stains may be over the carpet or on the tile floors. The "quick" (the pink flesh part normally covered by the nail) will be often exposed and bleeding. Generally, dogs start feeling better within 48 hours. Total recovery takes some time, as the nail needs to re-grow so to completely cover the vulnerable quick. Generally, this takes 2 weeks according to Dr. Fiona. 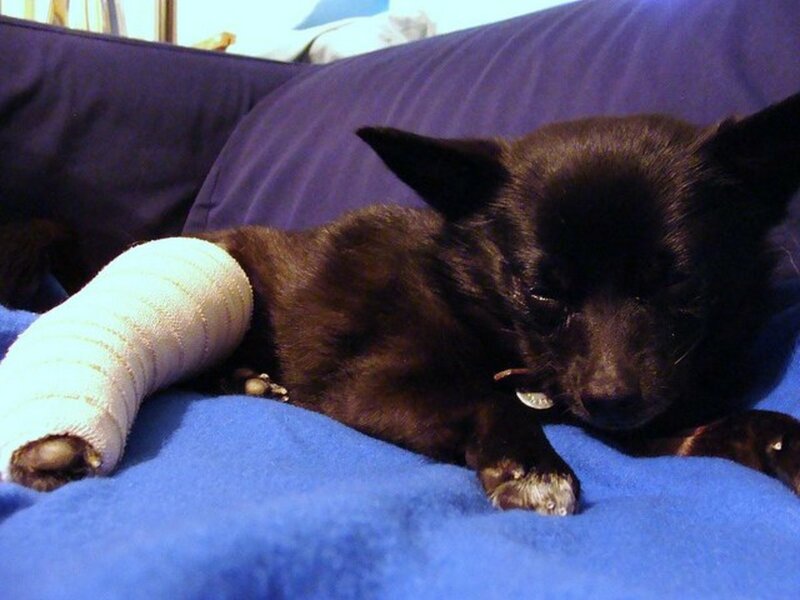 As your dog recovers, try to avoid walking him on rocks, sand, snow, or mud for about two weeks. 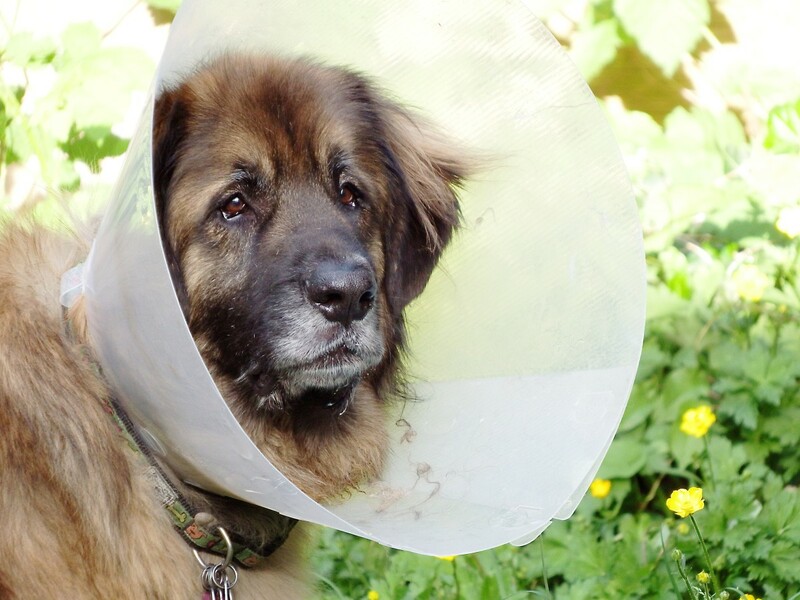 Because dogs tend to lick and chew the area over and over, an Elizabethan collar may be helpful. I want to emphasize how helpful it would be if all pet owners would enroll in a pet first aid class. As a former vet assistant and now as a dog trainer/behavior consultant and pet sitter, I find it helpful to attend pet first aid classes and get certified just in case of an emergency. I don't recommend this for professionals only, but pet owners as well. The examples of how this can turn helpful are many, as you never know what life may throw at you. Most first aid programs require you to re-certify after two years because the pet care field is always advancing and improving. The way you do doggie CPR today, may change tomorrow. My dog's nail accident happened 5 days ago, and she's already recovering greatly. The bleeding stopped after 5 minutes packed in flour, with constant pressure. Then my vet took a look at it. He complimented me for doing the right things and then bandaged the area with vet wrap. He then said if more people attended first aid classes, there would be less chances for complications. He is thinking about holding some in his clinic. What a wonderful idea! Disclaimer: this article is not to be used as a substitute for professional veterinary advice. If your dog's nail is broken, please see your vet. By reading this article you accept this disclaimer. My dog's quick is exposed, as his nail was crooked. I took him to the vet and they trimmed the nail down and gave him a cone. That was last Wednesday. I took the cone off Sunday. How long will my dog's nail quick be exposed after removing the cone? His nail is still attached, but I worry it will get infected with it exposed. You will need to wait for some time for the nail to grow and cover again that quick. I know that it feels like it takes forever to grow over, but usually, in a couple of weeks, you should see some growth. In the meanwhile, you can ask your vet about using perhaps some plain Neosporin (not the one with added pain control ingredients) to put on to protect it from a potential infection. Preventing your dog from licking the area and keeping the area is clean is also important to prevent infection. My pitbull has a swollen nail bed and she's in a lot of pain. What can I put on it to lower the swelling and her pain? There are chances you are dealing with an infection. A nail bed infection can be quite painful and antibiotics and pain relief are often necessary.These are obtained by prescription by the vet. It's also important to rule out soft tissue tumors of the nail bed which are always concerning. My mini Schnauzer just had her hangnail removed and is bandaged up. She’s excellent, and isn’t chewing on the bandage, so I took her cone off, so she’s more comfortable. Normally before bed, we go make “final wee” outside in the garden, but she won’t go? I’ve placed her in all her spots, and she’s just won’t wee. Is this something to worry about? Was your dog sedated for the procedure? Dogs who are sedated are often groggy for some time and they may not drink as they normally do to trigger a need to pee. It can be that your dog is painful (torn nails can be very painful) and therefore walking around in the yard triggers some pain that is interfering with her need to go potty. On the other hand, it could just be that walking around with a bandage is keeping her focus off her need to potty. Maybe you can try again a little later, and hopefully by then, her need to potty will supersede the sensation of pain. 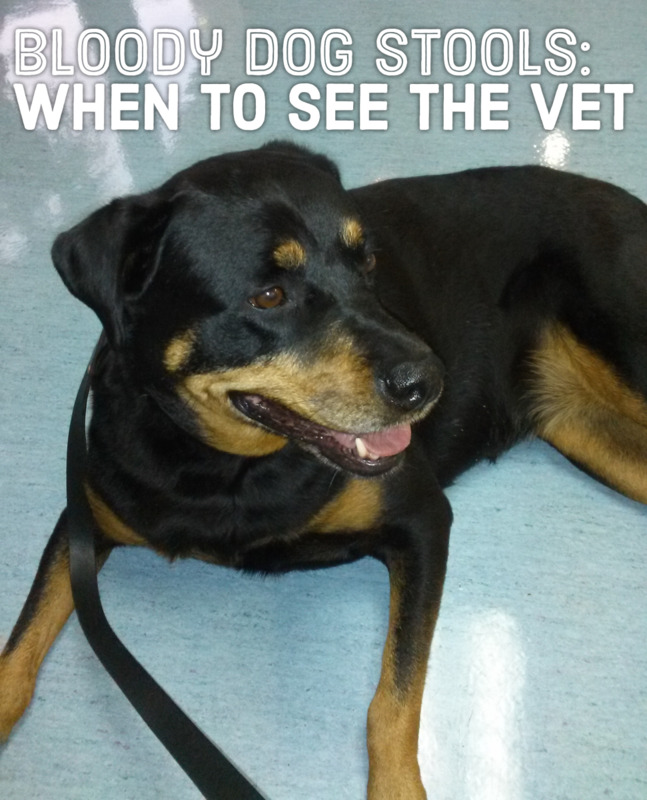 You may also want to phone the vet if she seems to be in pain or discomfort for some pain medication. Your site is nothing but Bs. your never supposed to take a dogs nail off when its broken only when its Barely hanging because your dogs nails are like teeth. They all have veins connected.. so just go straight to your vet..
What if my dogs nail is bent to the side and ripped that way? I'm afraid if I try to cut the quick and I will cause her more pain. Do you have any suggestions? Don't be fooled by a broken nail!! Mine had one and yes she had longer nails at the time and I just assumed that's what it was(I'm even a medical professional). My vet stated cancer in the toe is very common and a broken or split nail is a first sign. We even bet on it(I just knew he was wrong). He said he had been burned by broken toe nails before which is why he doesn't play around. He did surgery on the toe removing the nail and surrounding tissue. YES, to my surprise squamous cell cancer. It's more common than you think and treatment is removing the digit before it spreads to the body. It just looked like a normal split nail, but when he went in it was between the toe joint. Not that I'm glad my vet was right, I'm glad he pushed the issue and it wasn't given the chance to spread. The extra money I didn't want to spend doing the surgery was worth her life ten fold. Keep an eye on the split nail and don't wait. You'll never forgive yourself now that you're informed. 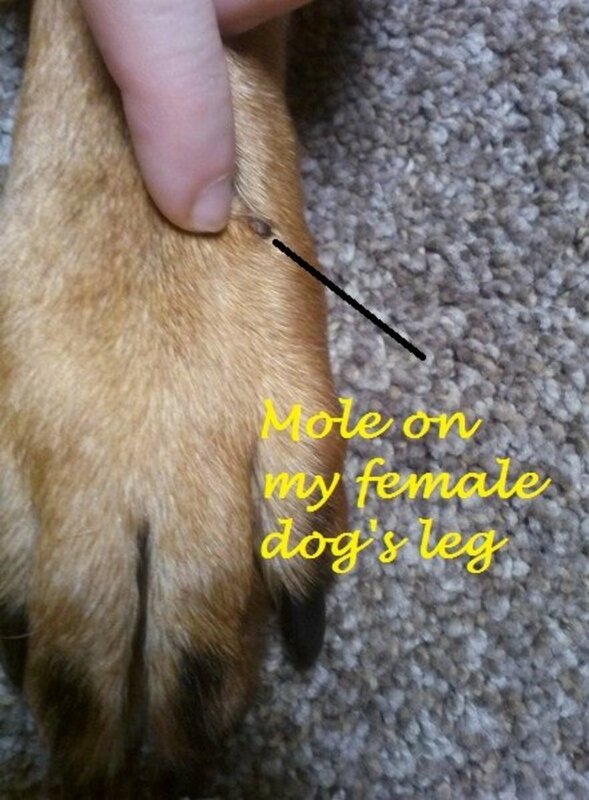 Kat Matues, glad this info on tips for a dog's broken nail helped you out. It's all info from reputable sources. Great article!!!! My dog has a fractured nail and because he was limping I thought it was his leg as I couldn't see anything wrong with his paw! Rushed him to vet after watching him limp around for about an hour and I'm happy I did. Especially because an infection can happen. I love the advice you give as well! I'm a firm believer in, if it doesn't seem right take them in! Lots of people think I'm crazy but if I have a feeling they should go to the vet (whether I'm right or wrong) they go... I'd rather take them and it be nothing then be rushing them to the ER in the middle of night cause I didn't take them when I should have! My dogs nail is cracked. Then bleeding has stopped and she can walk on it fine. Is there any need to go to the vet? The nail should be quickly removed, but it can quite painful (even though just a split second). Most dog owners decide to have the vet do this. Haya, a broken nail does hurt a bit for the first few days, but it's always best to see your vet if your dog seems in pain. I would restrict her activity until it heals. My dog broke her nail and she cries and sleep but yesterday she runs and plays with the ball shall i worry? Hydrogen peroxide kills healthy cells which are needed to help with healing. why does hydrogen pyroxzide make it worst? If the bleeding has stopped, you would need to make sure your dog doesn't lick/chew the area. You may need to have her wear an Elizabethan collar for the night when you cannot watch her. Limit walking over hard surfaces such as rocks/gravel. Usually, improvement is seen in about 48 hours. My dog broke her nail and I've cleaned it and wrapped it up but the vet isn't open until Monday, what else can I do. She's a German shepard pup and I want to make sure I'm giving her the best care that I can under these circumstances. I never though about doggie first aid but it definitely makes sense to know. Thanks for sharing these tips.